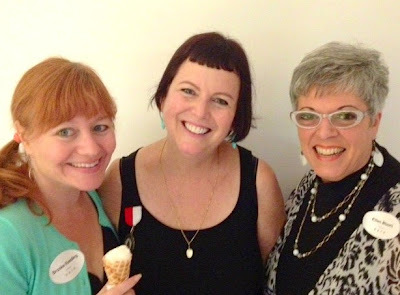 Saturday, Larry and I were invited to Rhonda Voo's Ice Cream & Champagne birthday party. 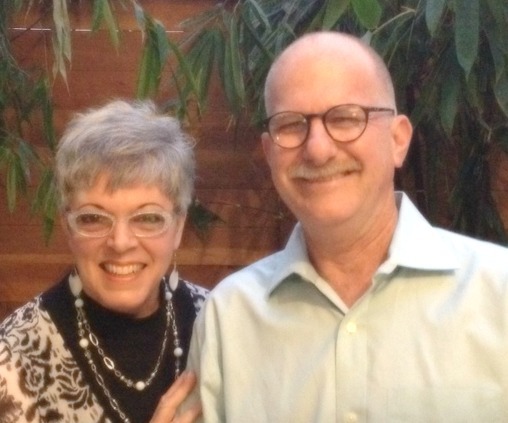 We'd recently met Rhonda and her husband, Eric at Brooke's and Deyo's wedding. Rhonda and I hit it off immediately at Brooke's bridal shower. We found out that we had many interests and friends in common. 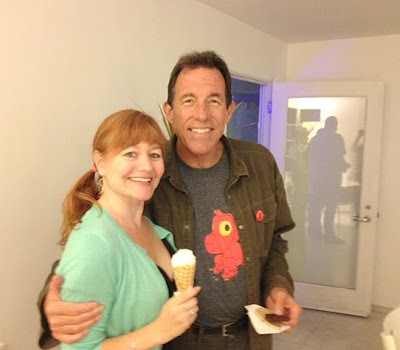 On Saturday we discovered that Larry and Rhonda graduated the same year from Art Center College of Design! Yes, it's a small world. 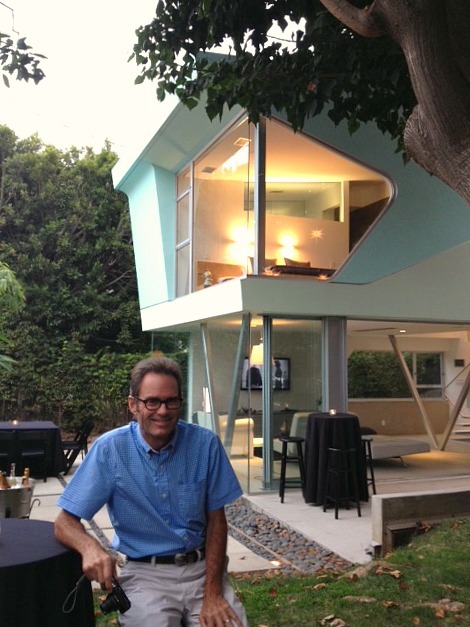 Rhonda and Eric recently remodeled their home in Mar Vista with the help of architect, Neil Denari. We'd seen photos of the home and it was even featured on an episode of "Four Houses" on TLC. We were both looking forward to seeing their home in person. 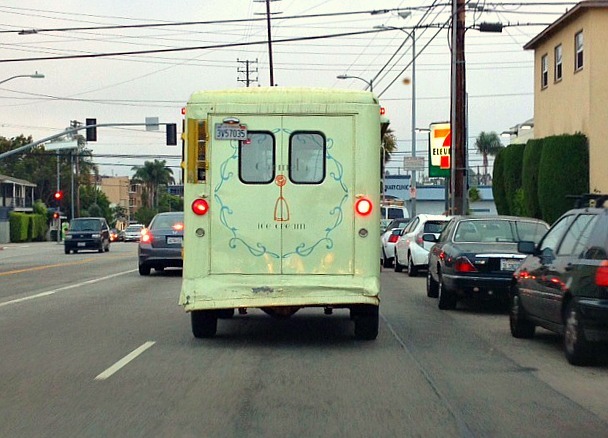 As we were traveling west on National Boulevard, we saw this old-fashioned ice-cream panel truck get off the freeway from Carmela Ice Cream in Pasadena. I'd just heard about this ice cream from Ms. Natalie. She took an ice cream crankin' class from them that very morning! We followed the truck to the party. Perfect timing! The front view of Rhonda's and Eric's home is very nice and simple. 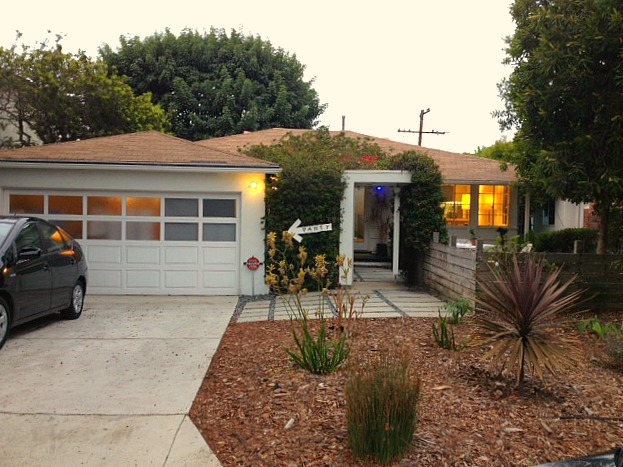 It looks like a remodeled 40's home, typical of the houses in this area. Everything changes when you walk through the front door. WOW! 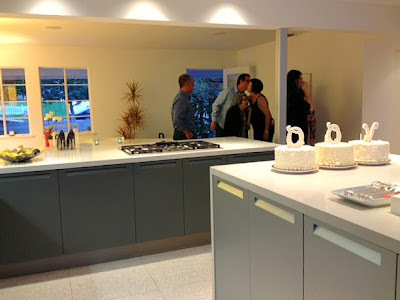 They've turned the original living room into a dining room and enlarged the kitchen so that it is virtually one gigantic room with huge windows that look out to the backyard and the trees. Next to the kitchen area are a couple of bedrooms and a bath. The extension of the home includes a new master bedroom suite. There is a dramatic staircase at the end of the kitchen going downstairs to the great room and back yard. 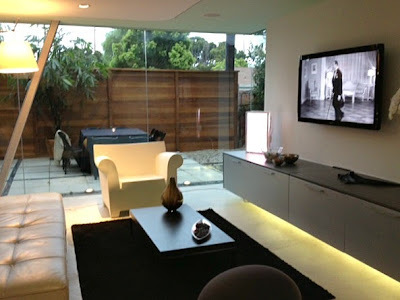 This space is huge, modern and beautiful. 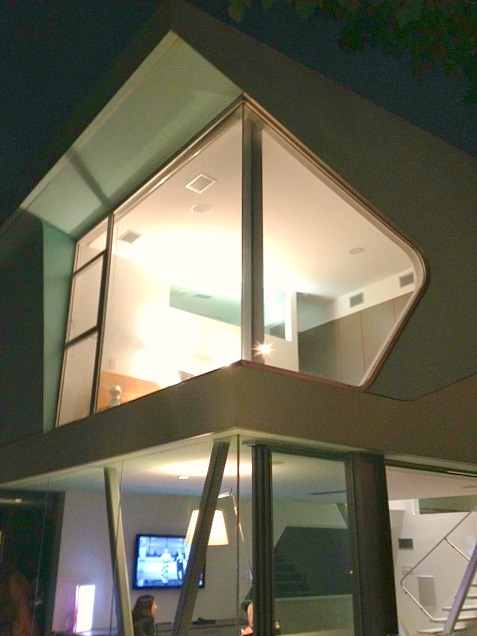 You would never know from the front of the home that this modern, space-age design exists in the back! It's awe-inspiring. When you're standing in the yard, looking up toward the back of the house, you feel like you're in another world. 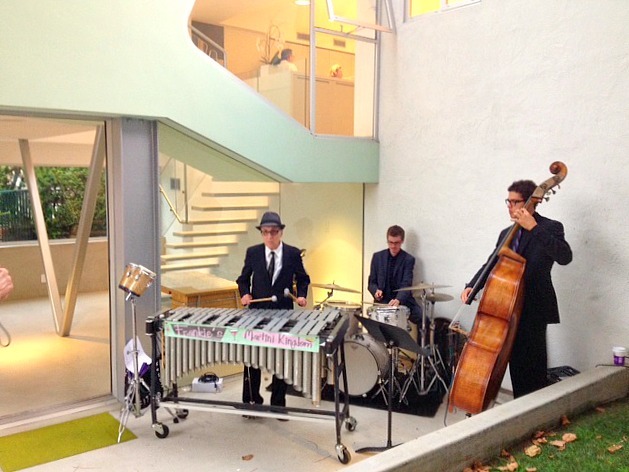 An abbreviated version of our friends' band, The Martini Kings were performing in the patio, making for a very classy party! We proceeded to drink champagne, eat divine ice cream and mingle with the crowd. Lots of interesting conversation and laughs. Surprisingly, one of my classmates from high school is also friends with Rhonda! Sheesh! The world just keeps getting smaller and smaller! Birthday cake was the next order of business. Three cakes spelling out "VOO" were displayed enticingly in the kitchen. 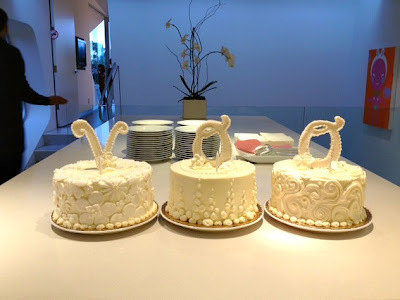 It really was a grand celebration! Thanks to Rhonda and Eric for including us in the celebration and inviting us to their spectacular home!